These are part of an art project created by Richard James which he hopes nobody will enjoy. 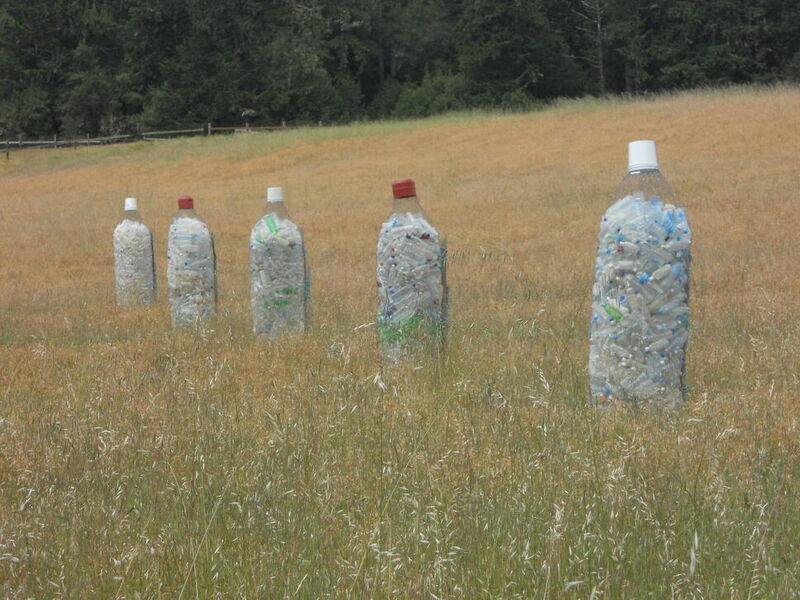 He created the plastic bottle art from the large amounts of trash that he has collected on the shores of Point Reyes National Seashore. 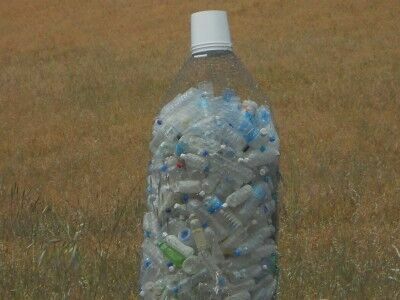 The five 8 foot tall bottles that are filled with plastic bottles are just the plastic bottles James found during one year of collecting trash on the shores of Point Reyes. 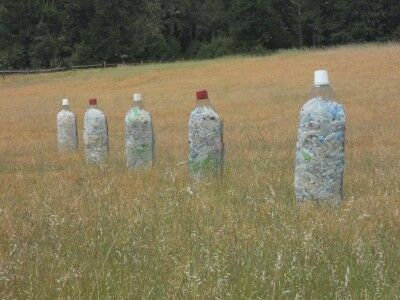 Not all people like the art, but it serves to show where many of the plastic bottles we use end up. On the beaches of One national park: Point Reyes. Most plastic in the ocean breaks into particles that contaminate the fish that eat them and us when we eat the fish. I have a policy to always leave the National Parks I visit in better shape than when I arrive. 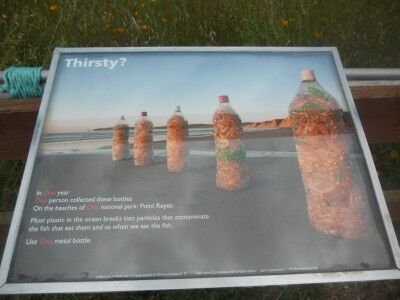 While at Point Reyes, I filled up two large bags with trash that had washed up on the beaches that I walked. It hardly took any time to do this, so I can imagine the amount of trash that James has collected in all the hours that he has spent cleaning the beaches. I hope that we all can get into the habit of leaving every National Park in better shape than when you arrived — and if you haven’t yet purchased yourself a metal water bottle, do it.